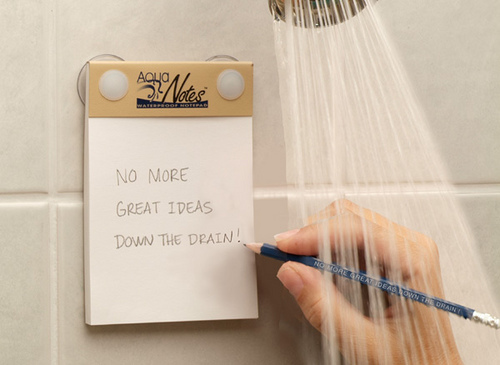 Are you thinking about your product while taking the shower? Paul Grahm’s articles never cease to amaze me with their powerful insights. It’s because they connect with me at a meta level where I am not able to verbalize my own thoughts. And when I read his essay, it’s like that’s what I was meaning to say !! I think most people have one top idea in their mind at any given time. That's the idea their thoughts will drift toward when they're allowed to drift freely. Our startup Revu is almost two months old. The first month (June) was very productive and I was amazed at my own speed of getting it up. But since it got mentioned in pluggd.in, Suddenly the focus shifted from development to a lot of distracting meetings. The meetings by themselves did not take a lot of time, but it shifted the top idea from my mind. Every idle moment I was thinking about these VC meetings and less on product development. And that actually showed on the development. Thanks to Paul for verbalizing the problem, Now I need to consciously keep right stuff in my mind. I code at Amagi and am passionate about Entreprenurship.